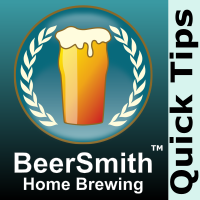 In today’s quick tip, I show you how to use the Recipe Archive feature in BeerSmith desktop to restore old recipes you may have accidentally changed or deleted. The View->Recipe Archive keeps track of every major edit you make so you don’t have to lose any data. My computer just crashed and I had to restore in default mode. It removed all apps since I bought computer. I had uploaded all the recipies from the last 5 years in BYO. Any way to restore this?